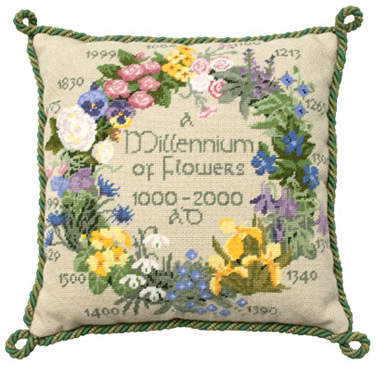 Originally designed for the Millennium, this tapestry will never go out of date because it tells the story of the first recorded appearance of plants over the last 1000 years. From wallflowers in 1066 to The Rose of the Year at The Chelsea Flower Show 1999, this kit includes four pages of fascinating history and legend surrounding favourite British garden flowers. A newly recorded flower for each century.